Mother Nature Can Play Jokes, So Can I! Does this surprise any of you? Mother Nature has a sense of humor: snow on April Fool’s Day. Now, I’m not a big prankster, but when given the opportunity at the right time I’ll pull a few pranks. Last week at school I walked into my broadcasting class and someone squirted a blue ink-like liquid all over my dress pants. They happened to pick the perfect day because that was the day I planned on filming a forecast for the school. I looked back down at my pants and lo and behold it was gone. No blue stain. Nothing. So, I decided to have a little more fun with the disppearing ink and go around the cafeteria/halls squirting my classmates and staff members with the substance. I’m not sure what the chemical is called, but the blue liquid evaporates once it hits air and all that is left is water. But the people I squirted had NO idea. No, the staff member at the end of the video was not really mad at me. I caught her at a bad time, though, because she was about ready to give a presentation. Ok, enough fooling around. How’s the weather? Well, tomorrow will be a pretty random day: partly sunny skies, short-lived heavy rain showers, possible hail and breezy conditions. It’ll be warmer, however, with highs in the upper 40s. A few residual showers hang around Friday morning, but overall it’ll be a partly sunny and pleasant day with highs creeping up to the low 50s. And then WALA! partly to even mostly sunny skies dominate the weekend. Right now high temperatures are tough to call, but models are quite inisitent on a mild pattern, mild meaning upper 50s to lower 60s…maybe even warmer. Records for both Saturday and Sunday are well into the 70s so I don’t think we’ll break any but this far out I can’t say that with confidence. 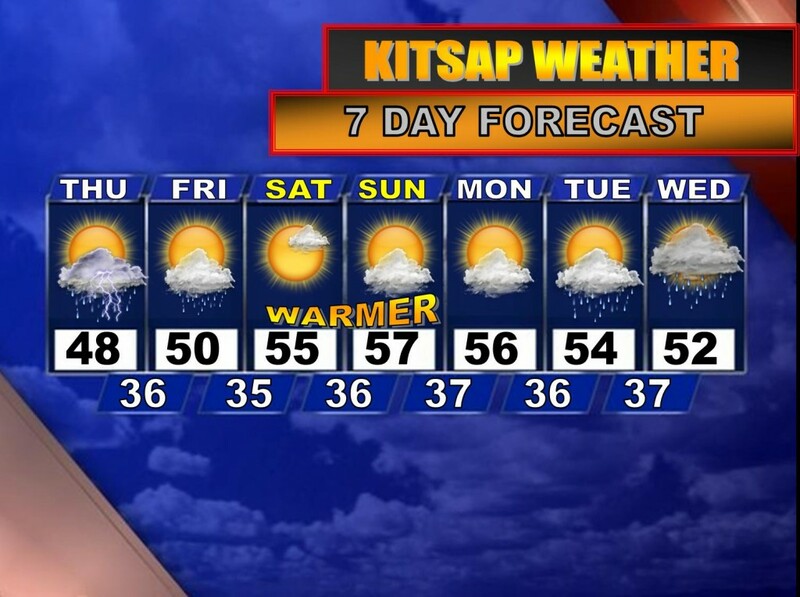 Overall, expect a much drier and warmer pattern this weekend. Beyond that the forecast hasn’t changed much: sunbreaks and showers with highs cooling back below normal in the upper 40s and lower 50s.